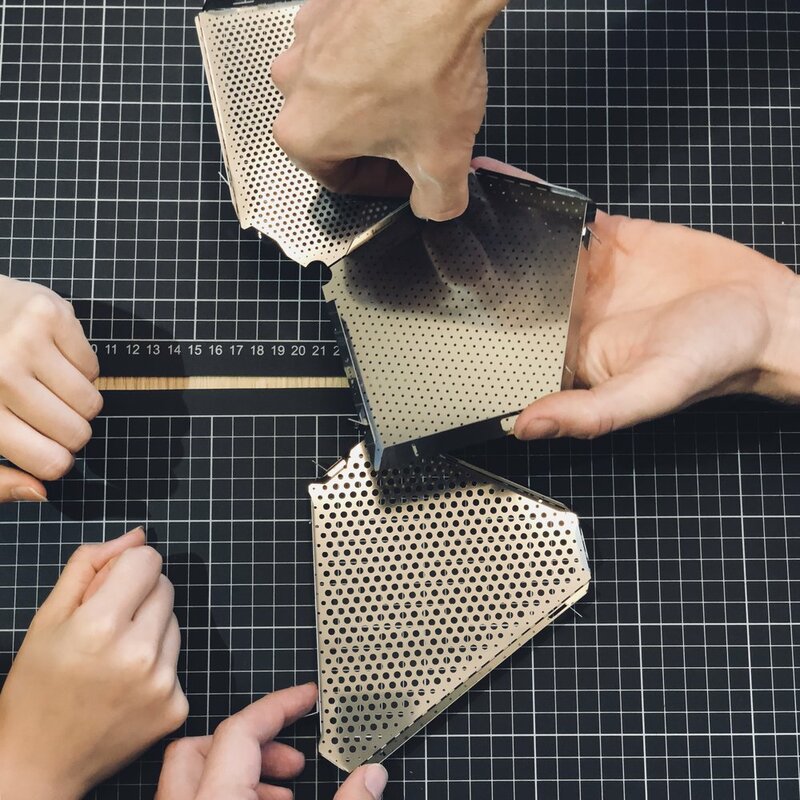 The first products from the "Tom Dixon Factory" (@tomdixonstudio) are laser cut stainless steel sheets that are semi-easy to fold and lock together to create an iconic pendant light. According to Mr. Dixon and his Designer who were present at the makeshift factory in the Hong Kong Hollywood store flagship once these limited edition pieces have been distributed- the brand will move on to series 2- "Ceramics". Here reunited again with Mr. Tom Dixon, joined by friends Victoria Chow founder of Kwoon by the Woods and Fashion Stylist, Grace Lam.